The latest Tekken 6 trailer shows off the game's two player co-op campaign mode. There's something special about this trailer though, as I'm sure you can already determine from the screenshot above. 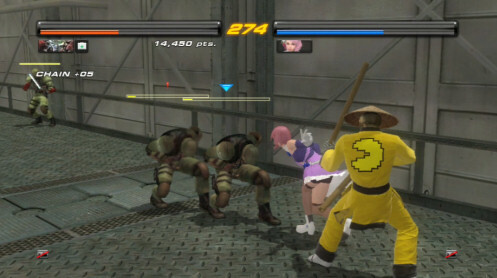 The video shows Yoshimitsu fighting in the Cardboard Tube Samurai outfit made famous by the Penny-Arcade character which is unlockable in the game. Tekken 6 - What Will you Fight For? Page created in 0.2460 seconds.